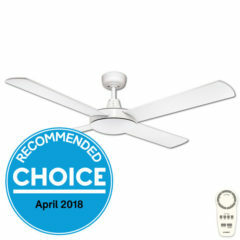 Fanco is a quality, Australian owned ceiling fan brand with a number of popular products including the Urban 2 ceiling fan. The Urban 2 is available in a number of combinations, including ceiling fan with light and or remote control. 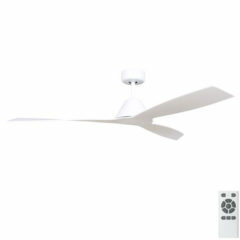 We also stock Fanco’s latest addition; the Eco Silent DC, a quality, powerful and sleek ceiling fan with energy saving DC motor. 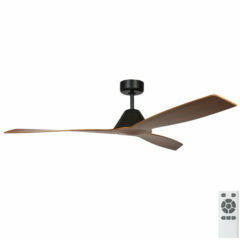 The Eco Silent DC ceiling fan is the ideal budget fan which doesn’t compromise on quality or efficiency. It features an energy saving, brushless, DC motor making it both reliable and quiet in operation. It comes with a 5 speed remote control and is available in a 48″ or 52″ blade span, allowing it to fit nicely into a range of room sizes. This listing in particular is for the 48″ model. 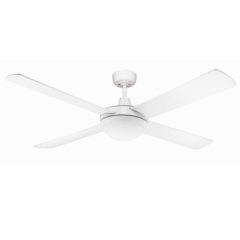 The Urban 2 ceiling fan with Light by Fanco is a modern fan with a popular shape featuring clean, simple lines and comes in a simple white finish. 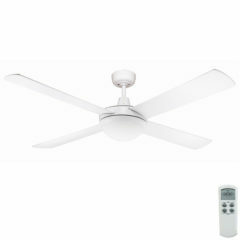 This fan also comes with a Light, which beautifully integrates into the design of the fan. 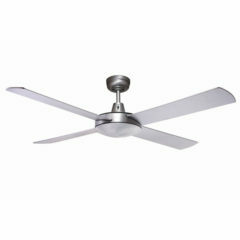 The Eco Silent DC ceiling fan is the ideal budget fan which doesn’t compromise on quality or efficiency. 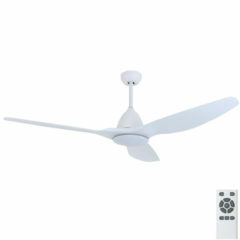 It features an energy saving, brushless DC motor making it both reliable and quiet in operation. 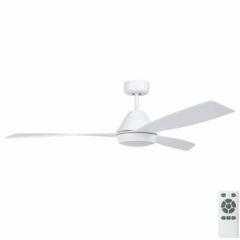 It comes with a 5 speed remote control and is available in a 48″ or 52″ blade span, allowing it to fit nicely into a range of room sizes. This listing in particular is for the 48″ model. Shaped by hand and finished in walnut, the Wynd’s timber blades invite a touch of nature back into your space. 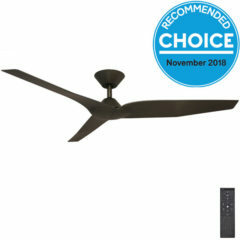 These sturdy blades balance with an oil-rubbed bronze motor to compliment all styles from modern-industrial to traditionally-rustic. 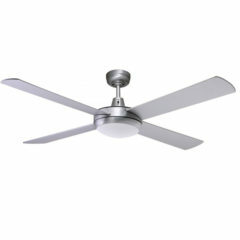 This beautiful fan also compares favourably on performance measures. The efficient DC motor uses only 25 watts to create an airflow of 9,743 m3/hr. 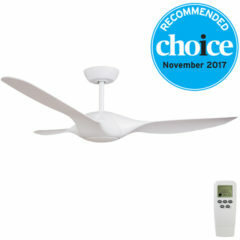 The Eco Silent DC ceiling fan is the ideal budget fan which doesn’t compromise on quality or efficiency. 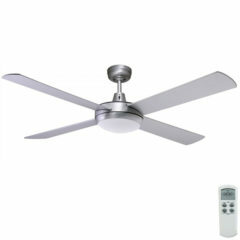 It features an energy saving, brushless DC motor making it both reliable and quiet in operation. It comes with a 5 speed remote control and is available in a 48″ or 52″ blade span, allowing it to fit nicely into a range of room sizes. This listing in particular is for the 52″ model. 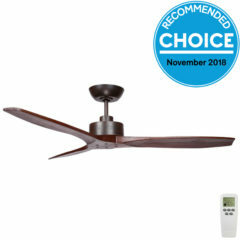 The Urban 2 ceiling fan with LED Light and Dimmable LCD Remote Control by Fanco is a modern fan with a popular shape featuring clean, simple lines and comes in a simple white finish. This fan also comes with a 2 X E27 dimmable LED Lights, which beautifully integrates into the design of the fan. The Urban 2 is packaged together with a dimmable LCD remote control giving you the flexibility of dimming the light via LCD remote control. 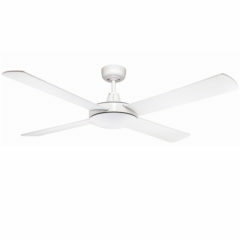 The Hugger ceiling fan by Fanco features three, elegantly curved blades and a cylindrical motor resulting in a sophisticated, modern style. 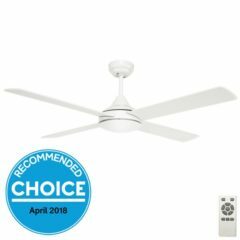 It has a low profile design with the motor sitting closer to the ceiling than most other fans and has a minimal drop of 200mm (approx) to the base of the motor. This means it is ideal for a range of interiors and even homes with a lower than standard ceiling height. 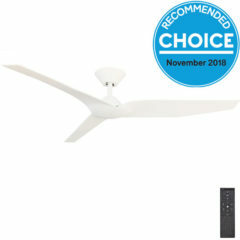 The Hugger ceiling fan by Fanco features three, elegantly curved blades and a cylindrical motor resulting in a sophisticated, modern style. 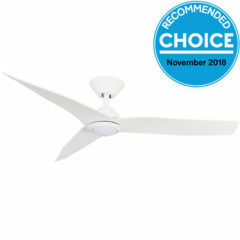 It has a low profile design with the motor sitting closer to the ceiling than most other fans and has a minimal drop of 240mm (approx) to the base of the light. 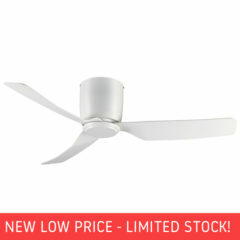 This means it is ideal for a range of interiors and even homes with a lower than standard ceiling height.